The showroom is open 6 days a week and we operate our live chat facility 7 days a week so whenever you need advice you can contact a member of our team. To see what our customers think, see our Facebook & Google reviews. 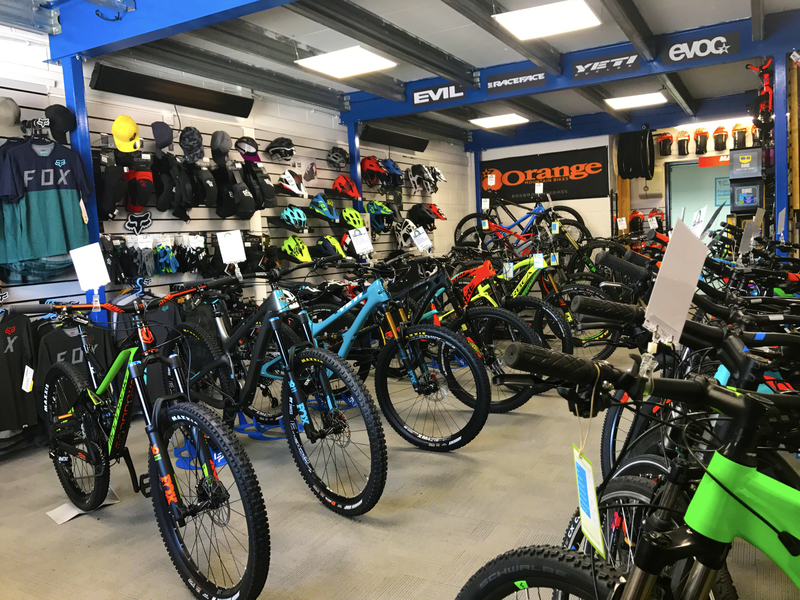 We stock a wide range of big named brands including: Yeti Cycles, Evil Bikes, Orange Bikes, Nukeproof bikes, Cube Bikes, Orbea Bikes, Mondraker Bikes, Ragley Bikes, Gocycle, an NS Bikes.